While there are various cannabis extraction methods to choose from, there are advantages and disadvantages to each method. Chemically speaking, removing the cannabinoids from cannabis is a simple task. The active ingredients (cannabinoids and terpenes) are present on the outside of the flower and nearby leaves (trim) in the well-known trichome glands. In order to harvest the oils contained in the trichomes, the cell membranes of the glands must be disrupted. Non-polar solvents disturb the lipid bilayer, liberating the contained active ingredients. Most organic solvents are relatively non-polar, and are capable of extracting the trichomes. Water, just about the most polar solvent, is repelled by the lipid bilayer, and cannabinoids have no solubility in it. In contrast, extraction of water soluble compounds from other plants (think tea or tobacco) is easily accomplished using water alone. The non-polar solvents commonly used in virtually all cannabis extraction methods include hydrocarbons, alcohols and supercritical carbon dioxide. Let’s examine the benefits and downsides of each. Hydrocarbons, as the name implies, are very non-polar compounds made up of only hydrogen and carbon. Almost all hydrocarbons are manufactured by the petrochemical industry, and are components of natural gas, diesel fuel and gasoline. As you might expect, these compounds are highly flammable: but they are efficient cannabinoid extractors. While all hydrocarbons could potentially be used for cannabis extraction, in practice only the lower hydrocarbons such as propane and butane are used. 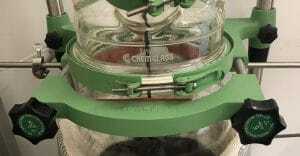 Why are these highly volatile, extremely flammable solvents employed? Well, they work, and they evaporate very easily, making recovery of the dissolved cannabinoids easy. The lower hydrocarbons are also fairly selective for the non-polar cannabinoids, leaving the colored pigments and chlorophyll behind. The ease of solvent removal (due to the hydrocarbons low heat of evaporation) allows the resulting oil to be worked into the various forms of “shatter”, “bubble hash” and the like. Unfortunately, the properties of lower hydrocarbons that are ideal for cannabis extraction (high volatility, low viscosity) make them extremely dangerous. All the lower hydrocarbons form explosive mixtures (butane will explode at concentrations between 2 and 8% in air) leading to the well documented explosions at hydrocarbon processing labs. Indeed, butane, propane, and their cousins are fuel/air explosives, suitable for military bombs. There is no way to make these hazardous compounds safe, thus extensive engineering controls MUST be employed to avoid disaster. Even then, operator error, or inadequate SOPs can lead to hazardous conditions. Hydrocarbons are the province of Big Oil. They have the capital and experience to handle the hazards. Others should stay away. scCO2 is a non-polar “solvent” that is effective for extracting cannabinoids from plant material. In fact, several patents from the early 2000’s claim the method. All CO2 systems are thus infringing on existing technology patents: with a normal article of commerce, every CO2 system manufacturer would be sued for patent infringement. If/when cannabis becomes federally legal, then a reckoning should occur between the patent holders, and the infringers. scCO2 is run at many times atmospheric pressure, and uses a large quantity of compressed carbon dioxide. Aside from the harmful effects CO2 has on the environment, the high pressures and large volumes of the highly poisonous carbon dioxide leads to major safely concerns. Engineering controls must be in place in the event of CO2 release, or else rapid suffocation is possible in the event of failure. Because of the extreme pressures involved, scCO2 systems must be made of pressure rated steel, increasing the capital outlay for startup and dramatically increasing the need for diligent preventative maintenance. scCO2 is an efficient extractor, perhaps too efficient. Everything gets stripped from the plant material, including waxes, pigments and cell-wall fragments. Thus, “winterization” is needed to obtain usable extracts. Winterization is done by dissolving the sludge from the scCO2 apparatus into ethanol, chilling and filtering off the mass of unusable waxes, etc., and then evaporating the ethanol. scCO2 extractions are really a set of two extractions run in series: the CO2 run followed by an ethanol extraction. This begs the question: why do the scCO2 pre-extraction, when an ethanol extraction by itself would do the job? Alcohol extraction of cannabis has been done for centuries. Cannabinoids have excellent solubility in lower alcohols such as ethanol and isopropanol, provided that the water content of the alcohol is low. Ethanol tinctures of cannabis are a part of the Pharmacopeia, and before prohibition, were readily available for various ailments. 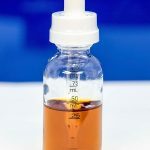 While many lower alcohols can be used for efficient extraction of cannabinoids from cannabis, ethanol is the preferred solvent, since it is relatively non-toxic. Typically, the cannabis is put into a filtration device, and room temperature or slightly colder ethanol is passed through. The ethanol must dehydrated to dissolve the cannabinoids effectively: higher amounts of water reduce the solubility of the cannabinoids and lower the amount extracted. At 80 proof (40% alcohol), very little oil is extracted, due to the much lower solubility of cannabinoids in this water-heavy solvent system. After extraction, the ethanol is evaporated leaving the cannabis oil as a residue. Heat and vacuum are then applied to remove residual ethanol. While this is highly effective, it is an inefficient process. 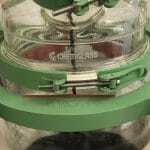 A large amount of the expensive dehydrated ethanol is needed and the evaporation and purging of ethanol makes this cannabis extraction method a time-consuming process. The Escet Method solves the issues surrounding ethanol use, in particular by employing low proof alcohol (vodka) and eliminating the evaporation step. Our safe, rugged method produces concentrate for all post extraction applications. Contact us for more information here.